You’ll find a plethora of healthy and delicious dining options near 5333 Connecticut Ave. But what if you wanted to whip up some of your own culinary creations? It all starts with fresh and healthy ingredients, and there’s no better place to get a hold of those than your local farmer’s market! You’ll find plenty of farmer’s markets to visit in the Chevy Chase and Bethesda, MD, area. These provide consistent sources of farm-fresh, locally grown produce and goodies. That should be motivation enough to visit the market. Now, let’s have a closer look at the best market spots! The Chevy Chase Farmers’ Market is a smaller market that is open on Saturdays from 9 am to 1 pm, year-round in DC. 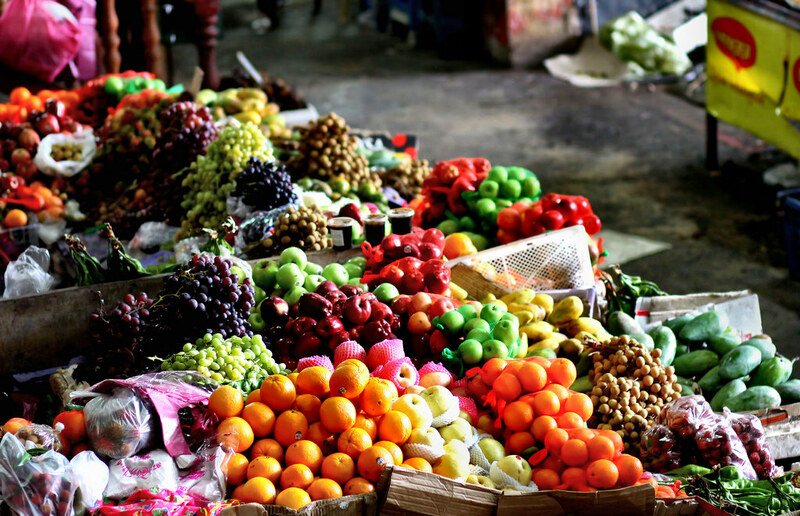 They have some of the tastiest produce available for cheap, including apples and other fruits, eggs, and various meats. If you’re lucky, you can also catch occasional treats such as homemade popsicles or delicious Belgian waffles made on-the-spot. This is truly a DC fixture and is a favorite social gathering spot for locals. Bonus: Chevy Chase Farmers’ Market is located only .7 miles away from 5333 Connecticut Ave.
For a unique shopping experience, stop by the Farm Women’s Market. Aside from your usual market items, you’ll find many “unconventional” things for a farmers’ market, including fresh baked goods, and bottled products like olive oil. In the outdoor section, they’ll usually have a number of vendors selling crafts and wares like handmade jewelry and various cloths. It’s more like a mini-fair than a small market! This is a great alternative to some of the larger, busier farmers’ markets closer to downtown, as those ones can get crowded quickly. Shop at the New Morning Farm spot for a stress-free and enjoyable experience. They have a wide variety of veggies, herbs, and fruits. Some highlights include their heirloom tomatoes, fresh eggplants, and leafy greens. The market also accepts credit cards, which is a definite plus when it comes to convenience. You’ll find many high-quality goods here. Check their schedule for times and dates, as they sometimes shift with the seasons. Located in Chevy Chase, MD, Norman’s Farm Market provides some of the best top-notch farmer’s market items in the area. They get consistently excellent reviews on Yelp due to their high-quality products. Check out their juicy plums, hearty root crops, and other delectable delights. Their roadside stand in Chevy Chase is considered a premier destination, as well as a convenient quick stop. They’ll be running from late May through November. Norman’s Farm Market is located about 1.4 miles from 5333 Connecticut Ave.
Once you’ve bagged your goodies, all that remains is to prepare them and enjoy them. This is going to be a breeze at 5333 Connecticut Ave., where our premium kitchen features include Bosch stainless steel appliances, quartz countertops, and Danze faucets. Interested in living in the heart of DC near these great farmers’ markets? Contact us today at 5333 Conn. Ave. for inquiries or to schedule a tour.